Sometimes we spend all day in the kitchen. I'm pretty happy and still surprised this can happen with a baby. I think we've learned to work well during his naps and also I've learned to work well and get a lot done when Benjamin is home on the weekends. When a friend ordered too much milk and gifted me with a jug of local whole milk, I knew ice cream was in our (weekend) future. 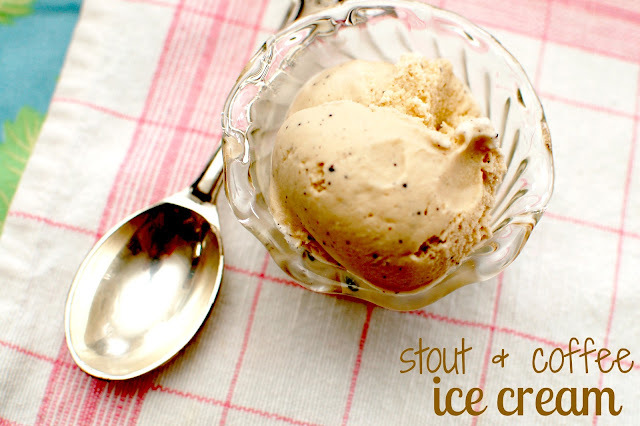 When I looked at Jeni's cookbook and realized we had some of Benny's homebrewed Oatmeal Stout and coffee of course on hand, her recipe for stout and coffee ice cream was just asking to be made. Thankfully Benjamin loves Jeni's too, and helping in the kitchen more than he might admit, so making this ice cream one Saturday was no problem. While making this I realized how similar ice cream making is to brewing. There are lots of steps and lots of temperatures you need to worry about. You have to let things heat then cool and make sure you don't add anything too soon or too late. I know there are easier ice cream recipes out there, but Jeni's are always so worth the time it takes to make them. If you have an ice cream maker I highly recommend getting her book and trying some of the recipes out! We plan on trying many more this summer. 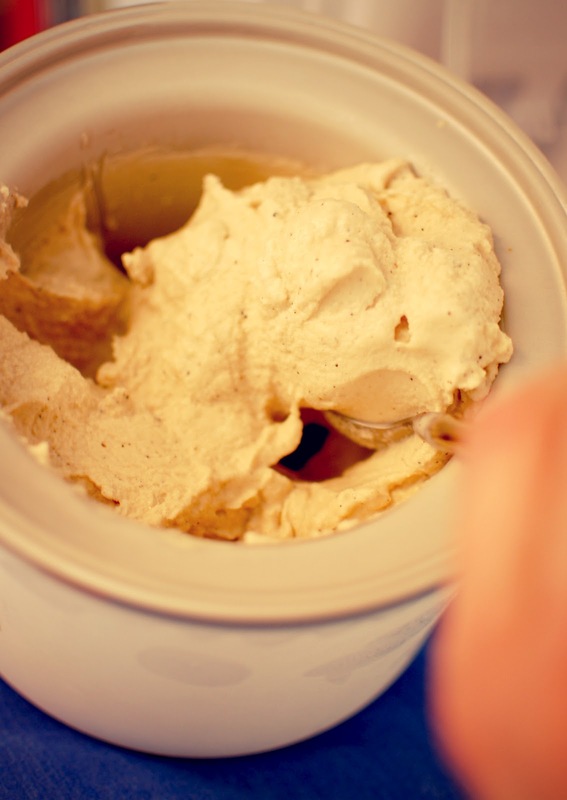 PREP: I'm going to go ahead and take after Jeni by reminding you to prep for ice cream making. It helps the process when you need to get things to cool down quickly in particular. So...Mix 2 tablespoons milk with cornstarch in a small bowl. Also whisk together the cream cheese and salt in another bowl until smooth. In yet another bowl fill it with ice water. 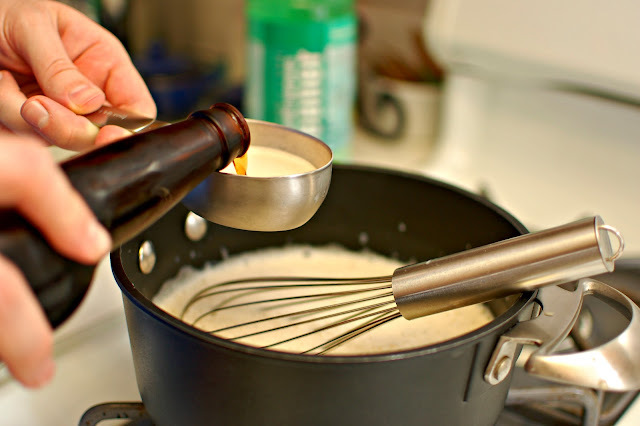 Combine the remaining milk, cream, sugar, and corn syrup into a saucepan. Bring this to a rolling boil over medium-high heat and boil for 4 minutes. Remove from the heat, pour in your coffee, and allow to steep for 5 minutes. Strain the mixture through a sieve and discard the grounds. Return the milk mixture to the saucepan and whisk in the cornstarch slurry. Turn on the heat again and bring to a boil, stirring with a rubber spatula until thickened, about a minute, then remove again from the heat. 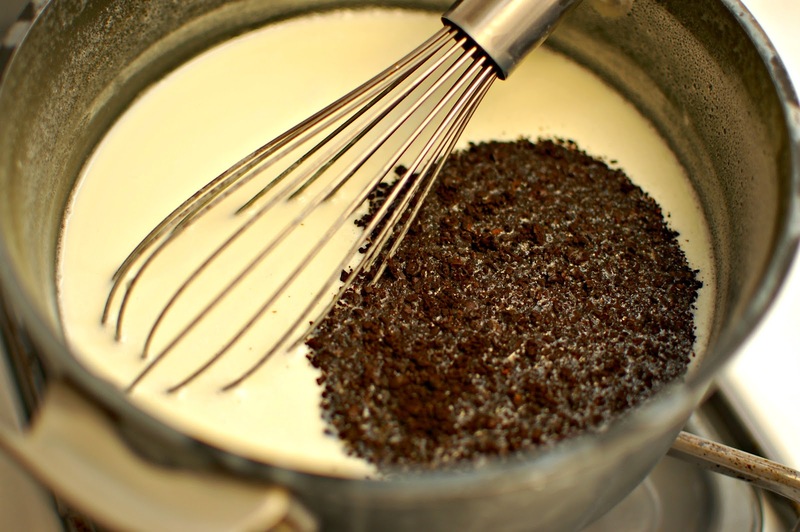 Gradually whisk the hot milk into the cream cheese, add the stout, and combine well. Pour this into a gallon ziploc freezer bag and submerge the sealed bag into the ice bath. Allow to cool for about 30 minutes. 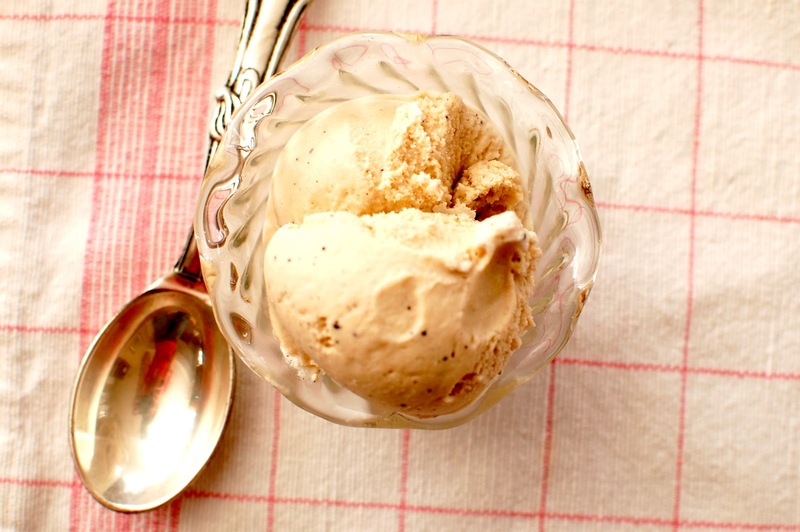 Pour your cooled milk into the frozen ice cream maker and spin until thick and creamy, about 25 minutes. Place the ice cream into a freezer-friendly storage container and press parchment paper on top of it. Freeze for at least 4 hours before enjoying! I need to get this cookbook! Everytime I see a recipe from it, I nearly die. This looks so good! Yes- you would love it I think!